The last 150 birds of this critically endangered species rely on humans for their survival. I rounded a corner and there it was: one of the world’s last 150 Guam kingfishers (Todiramphus cinnamominus). The bright orange, blue and white bird sat by itself on a branch in an enclosure at Pittsburgh’s National Aviary, watching visitors as they passed by. It didn’t seem to blink an eye as I stood there for several minutes, starting at this tiny, beautiful and vitally important bird. I knew that I was incredibly lucky to have the opportunity to see this rare species. Once native to the island after which it’s named, the Guam kingfisher all but disappeared during the decades after World War II, when invasive brown tree snakes (Boiga irregularis) arrived and ate their way through the native fauna. By the 1970s most of Guam’s unique bird species had gone extinct. The island’s kingfishers held on for a few more years, until 1988, the last year they were seen in the wild. Luckily, just before that fateful day, conservationists managed to capture a total of 29 birds and bring them into captivity for protection. 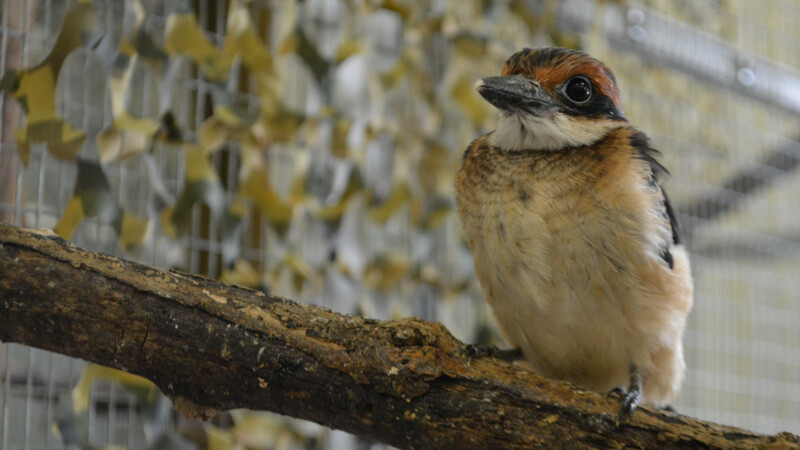 The kingfishers were transported to a number of U.S. zoos, where they became the core of a breeding program that has managed to save the species from extinction. 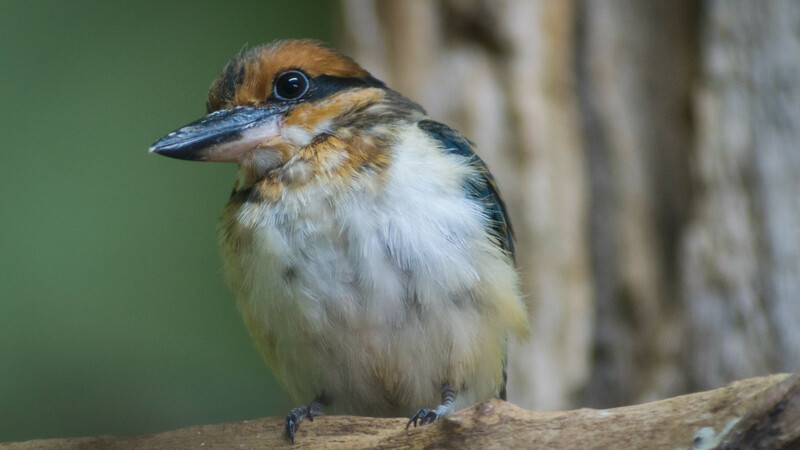 Today 11 of those birds, including two breeding pairs, live at the National Aviary, one of more than two dozen U.S. zoos and one government facility on Guam that are participating in the kingfisher’s Species Survival Program. 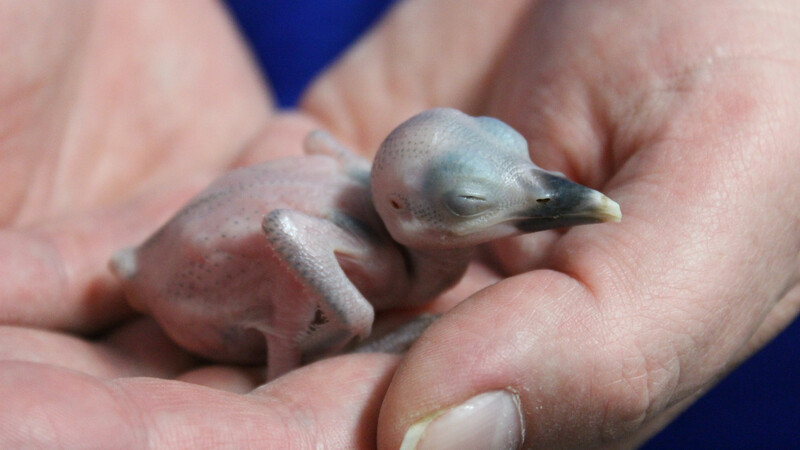 The aviary had 13 of the birds until earlier this month, when two young offspring were sent to zoos in Denver and St. Louis to help boost their own breeding programs. After that the aviary moved the breeding pairs off display into specially constructed behind-the-scenes enclosures. There the facility could more closely mimic the temperature, humidity, vegetation, daylight cycles and even sounds of the kingfishers’ native habitat, while also giving them much-need privacy in specially constructed, hollowed-out tree logs and nest cavities. 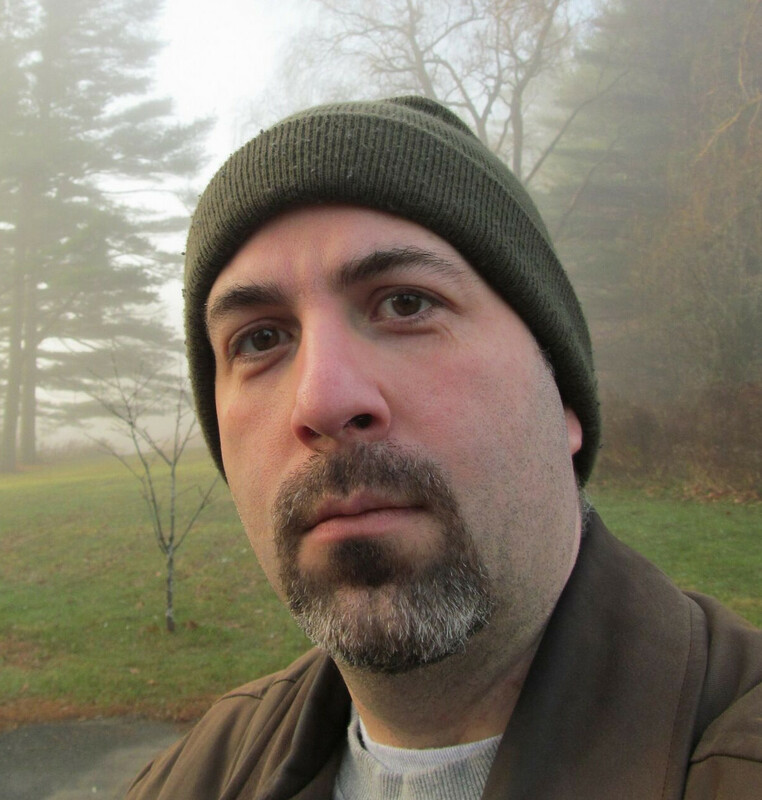 “That’s when they kicked in,” Hundgen says. The birds took to their new habitats and quickly started mating and laying eggs. That’s where another aspect of the special enclosures comes in: the hollow logs in which the birds nest are fitted with hidden cameras. 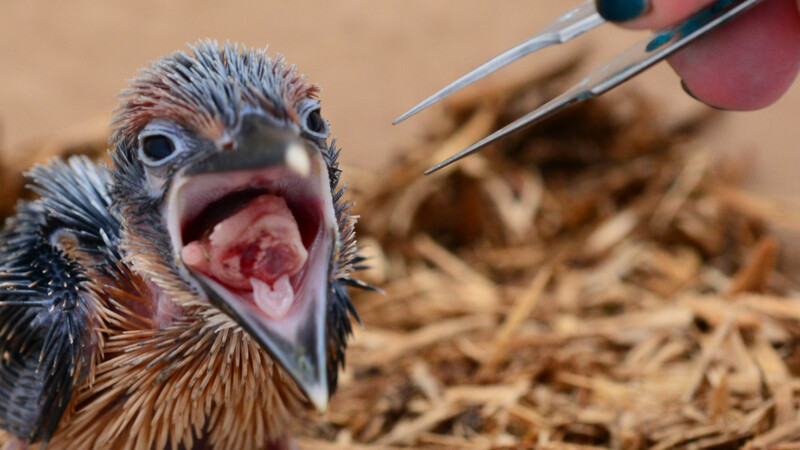 They parent birds feel safe and secure in their private logs, but aviary staff can observe exactly how they behave with their chicks and learn to mimic the same behaviors with the hand-reared chicks. Through all of this work, the veterinary team feels the significance of their actions. “Each one of these chicks is so important to its species,” she says. Sometimes that team actually means rushing to save a chick’s life. “These chicks are so fragile,” Fish says. “They’re just so tiny and they’re naked and every parameter is important.” Because most of the chicks live in the enclosures with their parents, “natural things” happen, like the risk of chicks falling out of their nest.